Most Germans seem to approve Angela Merkel's handling of the euro zone crisis, even though she's not popular in other European countries. German Chancellor Angela Merkel won clear backing for her handling of the euro zone crisis and Europe's biggest economy Sunday, with voters handing her conservative party a resounding victory in national elections. 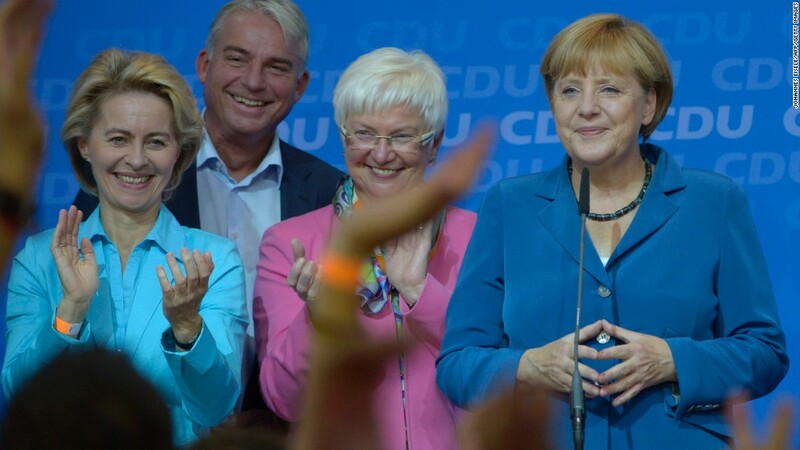 Merkel's bloc -- the Christian Democratic Union (CDU) and the Christian Social Union (CSU) -- garnered 41.7% of the vote, according to semi-official results released by the Federal Election Office. Merkel's party was within two seats of obtaining a super majority, which will mean it doesn't need to build a coalition with another party to govern. The results appeared to validate Merkel's policies and leadership style. Merkel is only the third post-war chancellor to win three successive elections. "Give or take a few details, Germany's euro policies are based on strong public support and a virtual consensus of all mainstream parties. The strong support for Merkel herself and her [party] today underscores that point," said Holger Schmieding, chief economist at Berenberg bank. Her previous coalition partner, the liberal Free Democratic Party (FDP), was by far the biggest loser Sunday and appeared to have fallen short of the 5% threshold needed to enter parliament. A new anti-euro party AfD may have won enough support to win its first seats but didn't make the big breakthrough it wanted. Merkel is extremely unpopular among some Europeans for her insistence on austerity in return for aid to their countries. 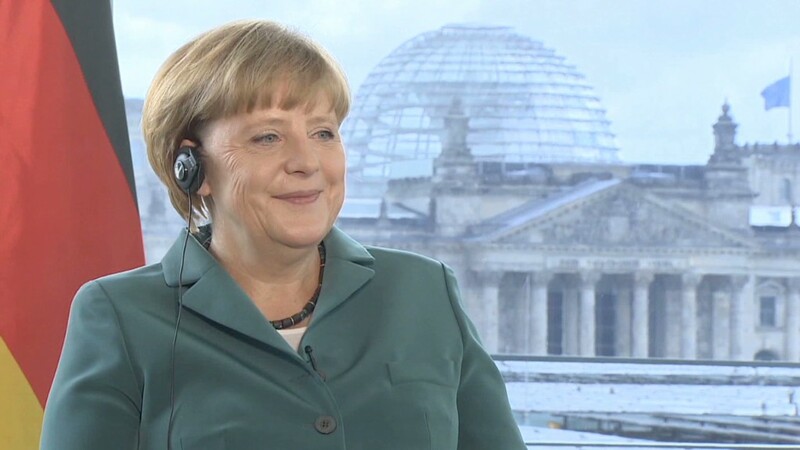 But most Germans seem to approve her handling of the crisis. Even if she's forced into a grand coalition, any policy shift is likely to be very subtle. While the Social Democrats have taken a softer tone on austerity, they have backed Merkel on all big European decisions during the crisis. With the recession over and markets calmer, the pace of EU policy making has eased. But a new Merkel government will still be the central player in tackling the big issues of Europe's slow growth, record unemployment, aging population and rising debt. Greece needs more help and Portugal might need a second bailout. What's more, progress on repairing the European banking system, which is critical to unfreezing credit markets and restoring long-term economic health, has slowed. The demise of the FDP is likely to be more significant for the German economy, a manufacturing and export powerhouse which accounts for nearly 30% of euro zone output. As the price for Social Democrat support, Merkel may be forced to concede higher income taxes on the wealthy and extend a minimum wage to more areas of industry. Germany is the second most productive of the G-7 economies after the United States, based on GDP per hours worked. Its unemployment rate is the second lowest in Europe, and has managed to eke out economic growth of 0.7% in the second quarter, avoiding the recession that gripped much of the euro zone for 18 months. German stocks are near record highs, and businesses haven't been as upbeat about their prospects for more than three years. But some economists have warned of creeping complacency. One of the talking points in the election campaign was the millions of working Germans barely able to cover more than their basic needs. A drift to the center-left may mean a slightly less competitive Germany in the long term but Merkel's clear victory is likely to reassure investors despite the prospect of weeks of talks on building a coalition government.